It takes more than a tweet to make a company social. This is part 5 of a 7 part series. There are two aspects to explore in relation to people, one is finding the right people, the second is creating a culture that supports your strategy. 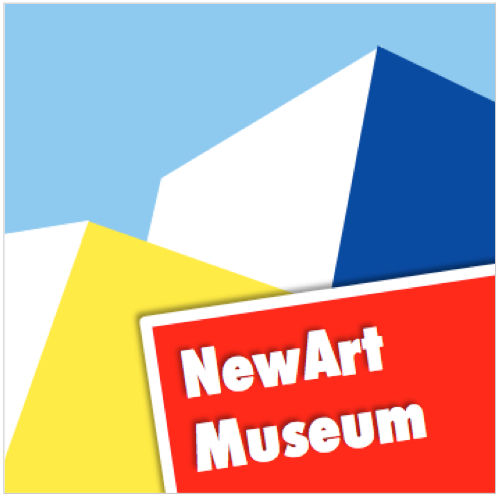 There will be some links to help you go further, and we’ll see how the NewArt Museum faced the people questions. The social media team will be talking, albeit in text form, to customers and stakeholders. They need to be skilled communicators, able to understand online comments, and react in a productive way. Someone needs to create all that great content, that person needs strong writing skills. Increasingly social media is a visual medium, with images used on many tweets and almost all Facebook posts, so you’ll need some design skills in your team (note; installing photoshop on your computer doesn’t make you a designer). Improving your performance in social media relies on someone crunching some numbers. Major platforms give you feedback on likes, shares etc, but you will want to analyse which posts perform best. Your social media team need to know your company, the history and the brand (beyond the visual identity). They need to know your audience and what will work for them, and they need to understand how the social media strategy connects with the company’s vision and strategy. You’re unlikely to find all of these skills in one person, but equally I’m not suggesting you need to hire five people. If you have the luxury of a bigger team look for people with a mix of skills that overlap. If it’s just one person – you – then focus on the first two skills, force yourself to learn enough analytics and outsource the design. If you cultivate a good relationship with a freelance designer they’ll soon understand your brand and deliver great graphics. Even larger companies often end up outsourcing a chunk of the design work. Hire interns. In the past I’ve seen excellent contributions from interns as designers, content creators, and community managers. I would advise against simply handing over social media accounts to interns and giving them free rein – interns new to the company are unlikely to have the company knowledge needed. But equally the interns I’ve seen have come with great ideas and given solid input, so don’t assume they’ll just be posting automatons for your social media plans. Personally I want to work with people who are self-motivated, interested in what they do, forward looking and positive; I do recruit for attitude. In addition for social media roles I look for an opportunist mentality, someone willing to experiment. In my experience the good ideas for content creation and use cases for new platforms don’t come out of long meetings, they come out of a conversation that sparks and idea. The good ideas and the exploration of new platforms comes naturally to those who are inspired by working in social. I accidentally caught two of my team making a vine about the circular economy; it took about fifty post-it notes and an afternoon but no out of pocket costs. Just their willingness to try something. It’s almost impossible for a project to succeed in an organisation without the support of the leadership. Commitment is different. Think of a plate of bacon and eggs; the chicken was supportive, the pig was committed. So the leadership not only need to support the execution of the project they need to be visible on social media as well. This could be a small role – eg short video interviews onto Facebook and twitter, or it could be a highly visible role – eg; Richard Branson. But their presence on social media removes a lot of internal discussion, and it is a credibility point for the organisation externally. The organisational culture needs to support the use of social media. There needs to be a culture of openness and sharing with collaboration as the norm for the “social” part of social media to really fly. The social media manager cannot create content in a vacuum, and the community manager cannot respond to customers without the support of the organisation. This means as few rules as possible, make it easy for people to share content within the company, celebrate and reward great uses of collaboration. Find some ways to cultivate the building of a social media presence – it’s probably going to change how you work inside the company. So far the social media accounts have been looked after by the communications manager with a little secretarial support. For a relaunch and the campaign they’re planning this is clearly not going to work. Two interns are chosen; one from a design course to focus on visual elements and developing assets for social media, and one from a journalism course to focus on the written content and doing some community management work. The interns are both avid social media users themselves and the designer has a reasonable following on instagram already. Some analysis of the accounts of other museums and the NewArt Museum’s own accounts gives them ideas to share and their enthusiasm energises the other content developers who have struggled to see how social media content can be developed. They start brainstorming about running events; supporting “wiki loves Art“, holding a “Night at the Museum” event with instagrammers, inviting influential instagrammers to curate the museum’s instagram account, children’s art classes, a “child artist” lecture series. They’re looking forward to the next content development meeting to discuss all these ideas.